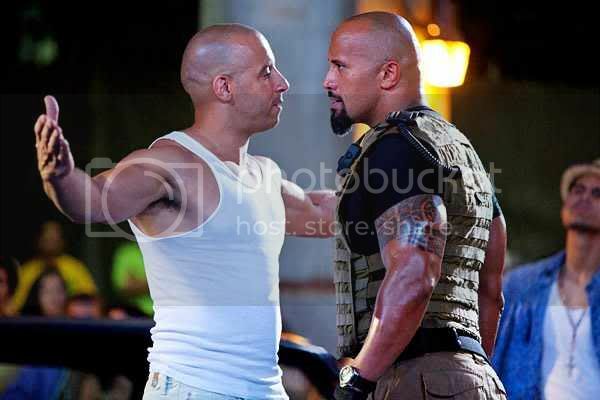 Because Vin Diesel AND the Rock. I actually didn't practice Monday, Tuesday, or Wednesday because I was CARTing all day. We have to train, yes, but also make sure we don't get injured. Don't worry; I had my speed practice. The teacher kept up a rat-a-tat-tat cadence all day -- BUT she spoke in phrases. "Give me some of those kinds of things." All those words are written in THREE strokes total now. Give me/some of those/kinds of things. See your Magnum Steno book for details how. I wrote all day and I wasn't near as tired had I written everything out. My feed was clean. My consumer was served well. PHRASES. BRIEFS. During the job, keep track of any words you're writing in more than one stroke, and check to see if you can't brief 'em. By the end of the three-day seminar, I had just about EVERY word down to one stroke. THAT MAKES YOUR JOB EASIER. Back to my Fast & Furious metaphor: When the going gets fast, the phrases start to pop up, and when you're behind you hit a few phrases and you CATCH UP very QUICKLY. VRRRRROOOOOOMMM. Granted, if WE'RE writing super fast, our CART consumer has to READ really fast, which can be a problem, depending on the individual and if there's enough lines on the screen to catch up when there's a pause in the discucssion. For you Magnum Steno members, Mark reads a literary take about fast captions in the 6/12/12 video. But, man, it feels good to write short and fast.